Home › 5. M2M/IoT Trends › Discover the RoI of the IoT at RFID Journal LIVE! Discover the RoI of the IoT at RFID Journal LIVE! These are interesting and challenging times for those involved in supply chain logistics, fleet management, inventory/warehousing, manufacturing and more. 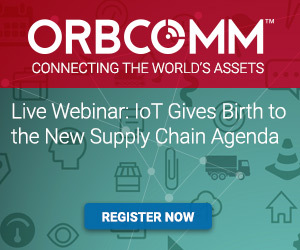 New, cutting-edge applications that take advantage of Internet of Things (IoT), RFID tracking and sensor-based technologies are being used to improve supply chain visibility, ROI, operational efficiency and manage risk. Transportation: RFID-based tracking and monitoring of cargo. Improve fleet efficiency with real-time location and status information. Supply Chain: Streamline the supply chain and effectively manage inventory every step of the way. Manufacturing: Track high-value equipment and tools for improved operational efficiency. Inventory: Streamline and reduce costs of inventory, warehouse and yard management operations.